There are certain things that we all want our mascara to achieve; added volume and length with great longevity is usually the right ballpark to aim for. It just so happens that the mascara that I'm reviewing today claims to do just that and more - but does it actually tick all of those boxes? So Susan is a brand that was started up by Susan Chyi in 2013. Originally the founder of the brand Jelly Pong Pong (who also collaborated with Nicola Roberts on her Dainty Doll range) before selling it on to travel the world, she now works hard to provide a range of cosmetics that will "enhance your life, bring joy to your every day makeup regiment as well as delight your senses". 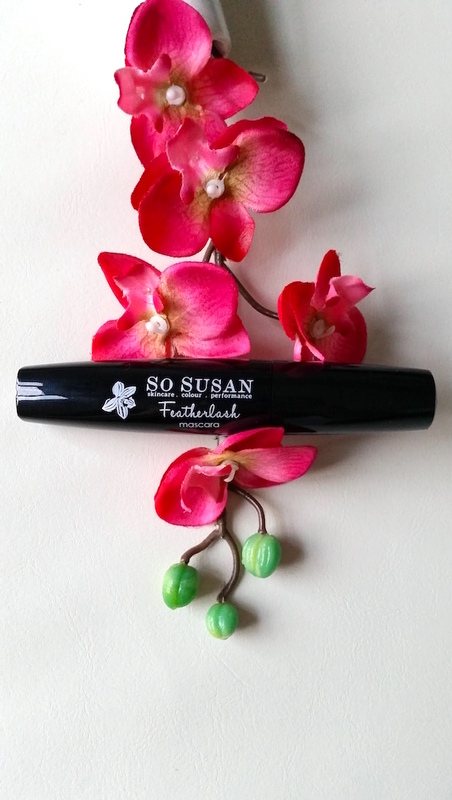 The Featherlash Mascara by So Susan claims to provide volume, length and long-lasting wear in one stroke. It also contains Silk Amino Acids and Moringa Seed Extract to help to keep your lashes strong and silky smooth. It has a thick wand with a conical tip to coat your lashes in thick, ultrablack pigments, whilst reaching the shortest ones all at the same time. It is also a water-resistant formula. In addition to what it does, it is free of mineral oils, fragrance and phthalates and is hypoallergenic, non-comedogenic and suitable for contact lens wearers. It comes packaged in a thick, shiny, black plastic tube with a screw cap that contains the wand. I received mine in a Birchbox from November 2015. I have to admit from the get go that I have mixed feelings on the Featherlash Mascara, but I'm going to fully explain what they are and why. Firstly, I think that the brush is great as it's quite no-nonsense which I like. It also picks up a nice amount of product for application. However, one of the biggest problems with this mascara is how wet it is. It takes a long time to dry so it can create a mess around the eyes (you may see as such in the photos). This can particularly cause issues if you apply eyeshadow beforehand (unless you choose to apply mascara first), but can also be a pain if you have put concealer underneath your eyes as it transfers to both the lids and underneath the eyes. Once dry though, I noticed that, like its namesake, it does have a sort of "feathery" look to it, creating a "fluttery" lashes kind of effect. Whilst wearing this mascara, I also had some smudging that occurred after a couple of hours of wear. It also easily comes off, sort of in clumps. Out of the three claims that this mascara makes, I’d say that it lives up to one of them: it lengthens lashes. Otherwise, there is no to little volume and the wear becomes pretty smudgy after a short time. Whilst I'd still like to try more from this brand, I'm just not that excited by this mascara. I like the feathery look from it, but it isn't enough to make me want to purchase it. It has some lengthening properties, but the impact that I personally want from a mascara just isn't there. If you prefer your eyelashes with just a bit of colour and flutter but nothing too extreme then you may be into this. If you want volumous, curly, long lashes though, you might want to give this a skip. 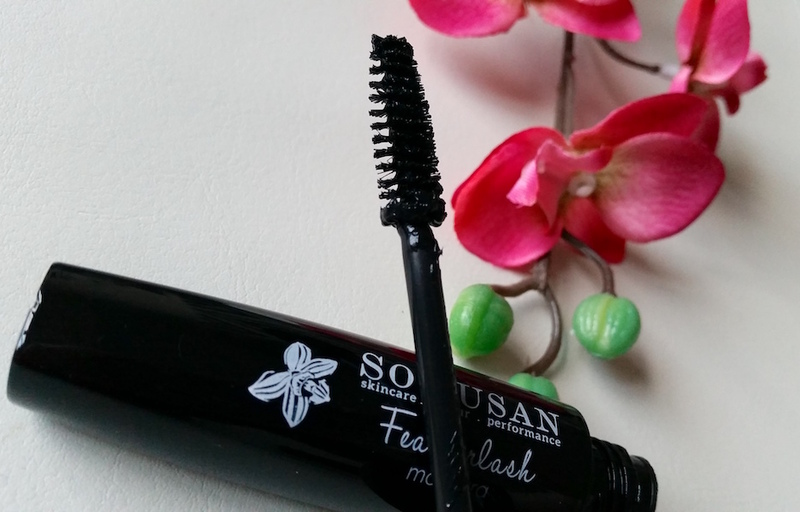 You can purchase So Susan's Featherlash Mascara for £18/11.7ml from Birchbox. What are your thoughts on the So Susan Featherlash Mascara? What's your favourite mascara?